Insert a bamboo skewer into the tail of each shrimp. 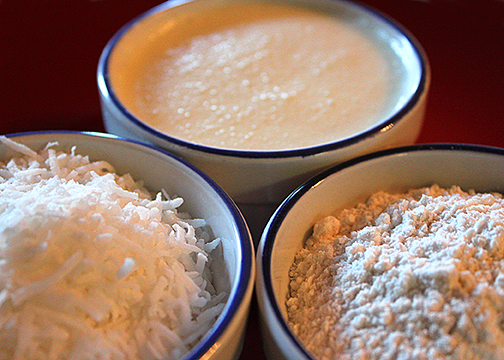 Place flour and shredded coconut each on a large shallow plate. Using a hand blender mix egg, milk and Hawberry Farms All Decadent Coconut Butter in a bowl. Coat each shrimp in flour, dip in egg, then coconut, coating both sides. 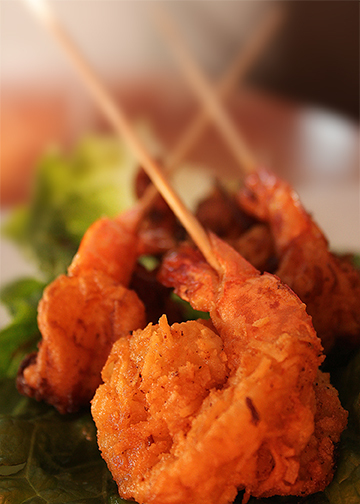 Fry shrimp in oil until golden brown using the skewer to hold the shrimp. 1/2 cup Hawberry Farms All Decadent Coconut Butter with 1/2 cup fresh pineapple using a hand blender.